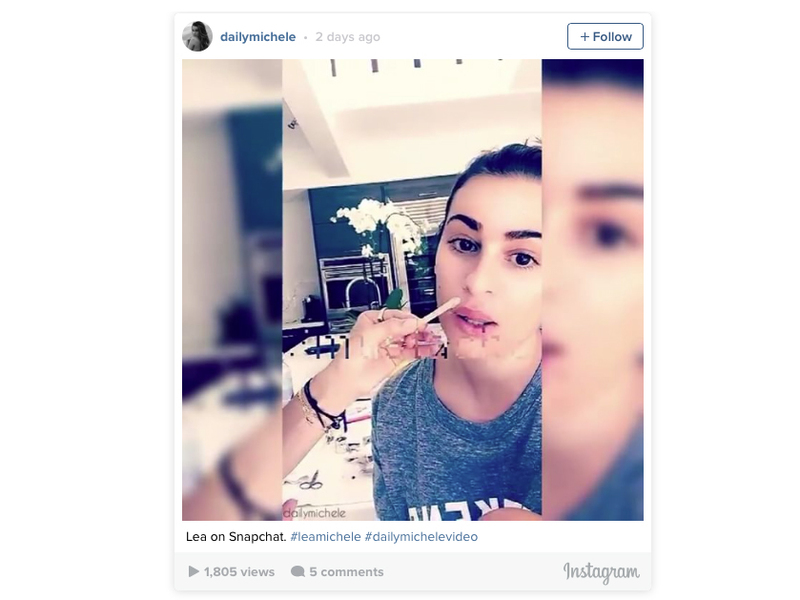 There’s nothing glamorous about tweezing, threading or waxing hairs on of any part of our bodies, let alone our face, so whenever someone has the guts to not only go through with pulling hairs out of their face, but store a video of it on a social platform where millions of people can view it happening, we have nothing but applause for them (and perhaps a touch of gratitude for celebrating the ugly side of beauty). 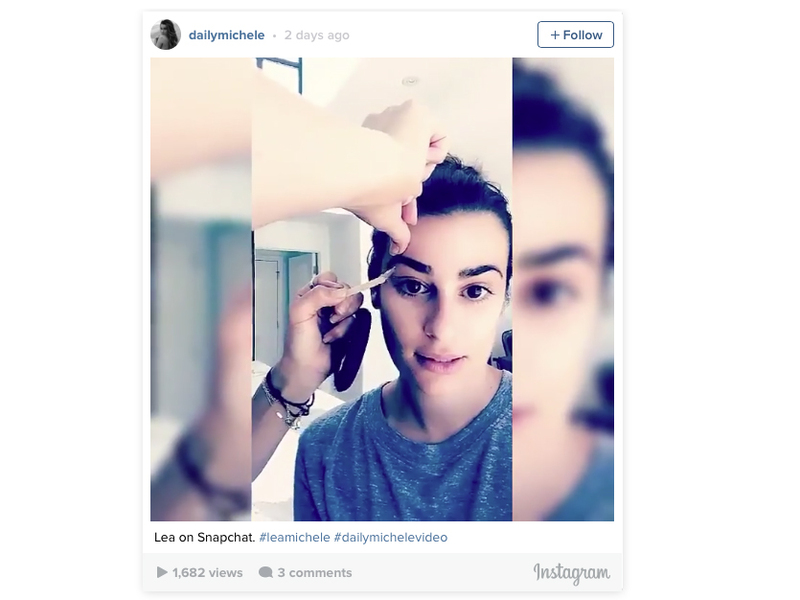 Enter Lea Michele who got real with her fans on snapchat, showing exactly what it takes to keep her looking red carpet ready. Not only did the Scream Queen star let us get a sneak peek at her beautiful home, she also showed us her monthly beauty routine. First, her brow waxer cleaned up her thick brows. Opening her eyes wide while saying, ‘this is going to hurt really bad,’ Lea gritted her teeth as the wax got ripped off to give her the perfect eyebrow shape. She then went on to Snap her moustache getting waxed, jokingly saying that, ‘this is the real beauty, you guys. This is what happens when you’re half Jewish, half Italian.’ We hear you! It seems Lea is quite the unstoppable super star at the moment. She recently took one step closer to releasing her new album and on Monday she confirmed she’s single. Now, whatever the reason for the live-stream waxing, we’re sure as hell glad someone has shown the world that we’re not alone when it comes to the occasional fuzz on our top lip.